To find about What are Chat Bots? visit here. 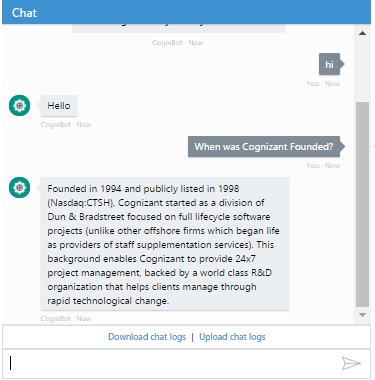 Knowledge base in this sense means ingesting the information like FAQs which are in Question & Answer form in the Chat Bots repository. You will also have an option to update your knowledge base in which you can delete or add what ever questions and answers you want of your choice. 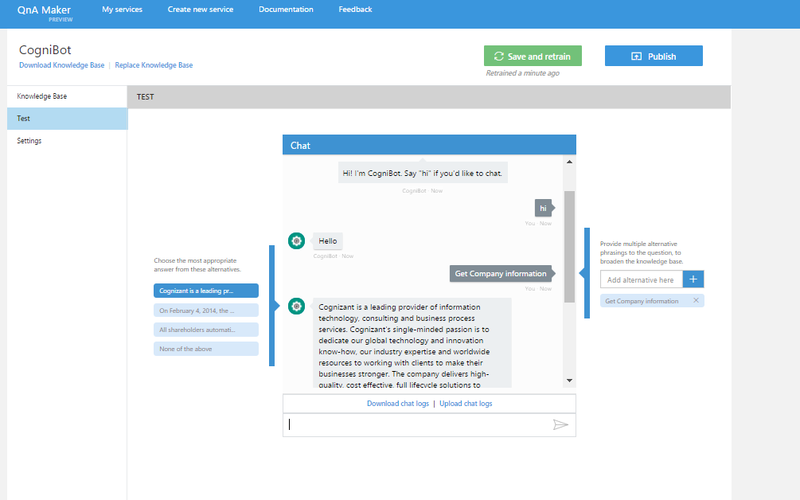 You can also add knowledge base by uploading a file with a appropriate QnA. Click on the Test in the side bar Navigation menu which will show you the GUI version of the Bot Service hence through this you can test this service. While testing you need not give the exact utterance, it is smart enough to figure out similar utterance and fetch and display the answer. Click on publish to publish your service. After publishing the service a HTTP API will be generated which can be used later to access the service. 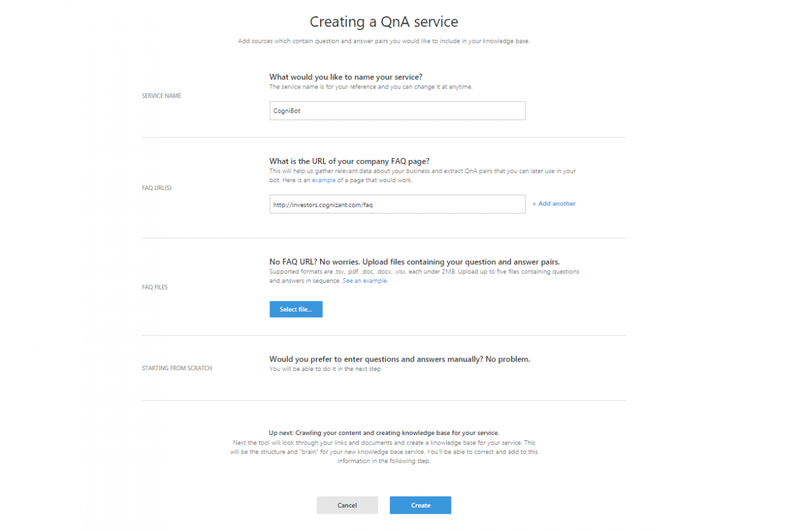 Here it is, your Question Answer based Bot service is ready.